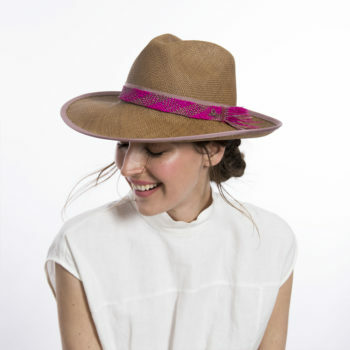 Expertly woven in Colombia from Iraca palm straw, the Picopico Big Brim is an eye-catching design that combines traditional patterns in the weave, and clean yet playful details for the perfect beach wear look. 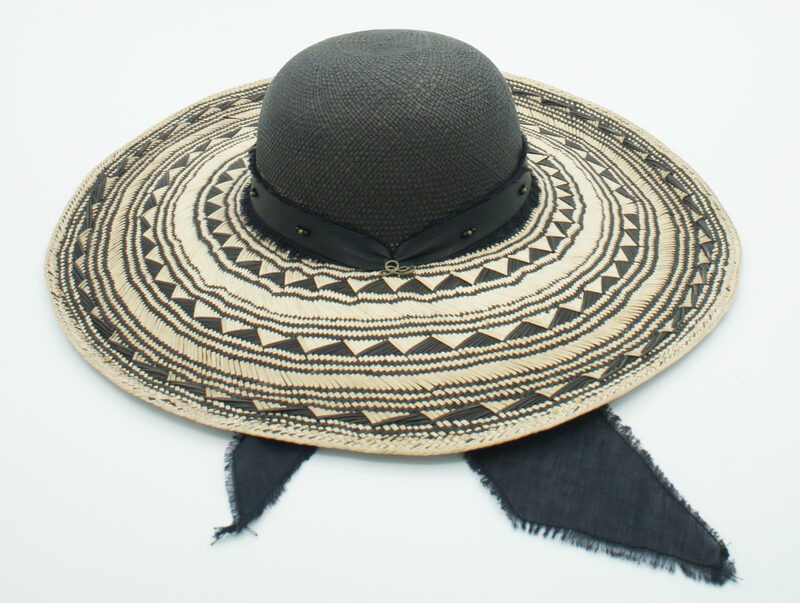 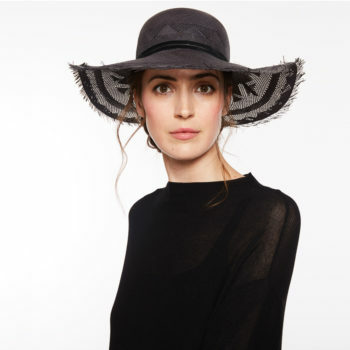 This hat is trimmed with Italian cotton voile ribbon and our highest quality leather which are extended to the bottom of the brim, ending in a delicate bow lending a hint of flare, just like Picaflor’s behaviour. 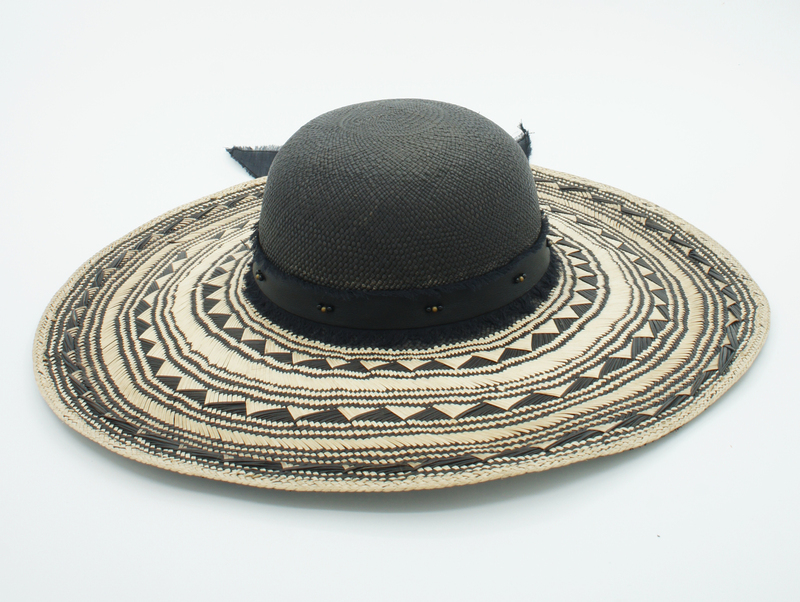 Diminutive metal and onyx beads adorn this hat for a perfect final touch.